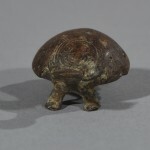 L:7 x W:4 x H:3 cm. 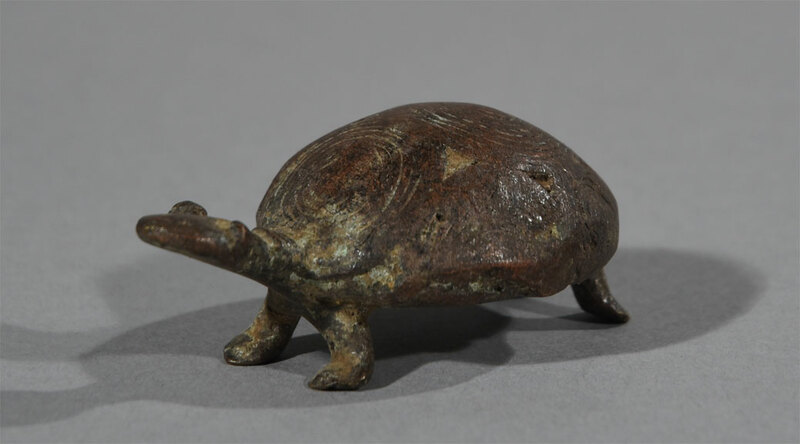 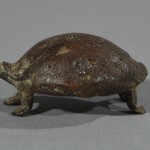 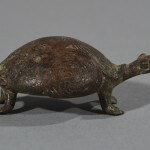 An exceptional Gan Bronze pendent representing a Tortoise. 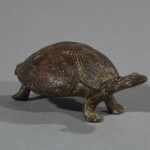 Various animals relating to myth such as the lizard or caiman, the serpent and the tortoise are subjects depicted by the Lobi. 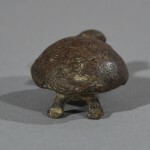 This type of small amulet has become more and more difficult to find in the past few years as these amulets are becoming collectible.